2. Who is the ʻImi Hoʻōla Program open to? The ʻImi Hoʻōla Post­Baccalaureate Program is open to individuals from socially, educationally, or economically disadvantaged backgrounds that have demonstrated a commitment to serve in areas of need in Hawaiʻi and the US Affiliated Pacific Islands. 3. Do you pre-screen applications to the program? We do not pre­screen or pre­qualify applicants to the program. If you think you may qualify and believe that you would be a good fit for ʻImi Hoʻōla, then you should apply. Our application is fairly straight­forward and does not have an application fee. 4. Is it possible to deliver an application in person? No hand-delivery of application packets will be allowed. Only applications postmarked by November 1 will be accepted. 5. Can a recommender write their own letter of recommendation or do they need to complete the form provided in the application? A recommender should attach their own letter of recommendation along with the completed form included in the application packet. Letter writers should address all of the questions/areas that are asked within the letter they write on behalf of the applicant, since these questions are part of the evaluation process. 6. Will I receive a notification when my letters of recommendation are received? The only way we can update applicants on the status of their application (i.e. receipt of letters of recommendation on their behalf), is if we have received the 10­ page application form from the applicant. Letters of recommendation that are submitted prior to receipt of the application are filed into an applicant folder, but without the contact information provided on the 10­ page application form, we do not have contact information for applicants and are unable to notify them. 7. Can letter writers submit the letter of recommendation and forms U.S. mail or fax? Can applicants submit the ʻImi Hoʻōla application through email? As of August 2018, letters of recommendation must be submitted via email to imihoola@hawaii.edu by the recommender by November 1. No faxed, hand delivered, or mailed letters will be accepted. 8. Can the deadline for the letters of recommendation be extended? We are not able to extend the deadline or make any exceptions to our policy. All application materials, which include letters of recommendation, must be postmarked by or on November 1 to be considered. Any application materials that are postmarked after the application deadline of November 1 will not be accepted. 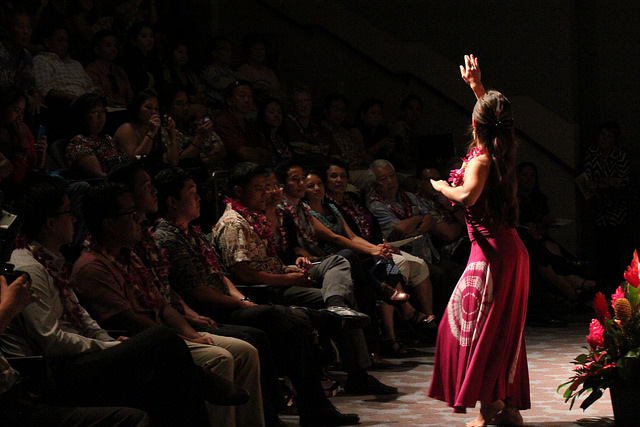 For more information about our Program, admission requirements (including academic requirements), please visit our Program’s website at: http://jabsom.hawaii.edu/imihoola. 9. Will you accept letters of recommendation from Interfolio or a similar system? Letters of recommendation must be submitted directly from the recommender via email by November 1st. No third party recommendation letters will be accepted. 10. Can we submit our application before our MCAT scores are out (for the sake of getting it in earlier)? You are welcome to submit your application before you receive your MCAT score. Please keep in mind that applicants are assessed on the most recent MCAT score, so it is this score that must meet the academic requirements. 11. One of the essay questions states, “Describe why you want to pursue a career in medicine. What key experiences have influenced this decision?” Would I need to copy and paste my personal statement from the AMCAS application? Or would I need to elaborate my personal statement much further? Although your personal statement for your AMCAS application and Essay B for the ʻImi Hoʻōla application both ask applicant to address why an applicant wants to pursue medicine as a career, we suggest that when applying to ʻImi Hoʻōla, you take into consideration the mission of our program and determine whether your professional path and career goals align with the mission of the program. 12. Should secondary materials, such as a curriculum vitae or AMCAS personal statement be turned in with the application? Secondary materials, such as a CV or additional essays, should not be turned in with the application. Essays B & C in the ʻImi Hoʻōla application form is an opportunity for applicants to include additional information about themselves and their backgrounds. Applicants can use this space to provide any additional information that may not be apparent elsewhere in the application.